Aspiring filmmakers have plenty to look forward to over the next few weeks to make their dreams come through. It’s a fact that most aspiring filmmakers don’t find a breakthrough in the film industry due to lack of exposure to prove their talent and also finding avenues to showcase their talent is a major issue. 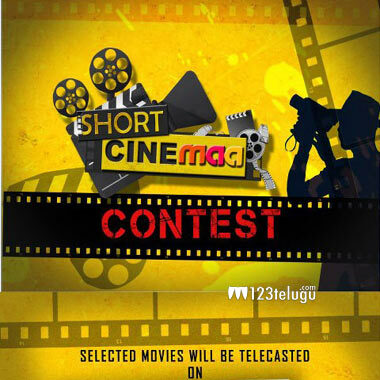 Now, a leading TV channel like MAA TV is coming up with a ‘Short Film Contest’ which promises to be a great platform for aspiring filmmakers to showcase their work. The best entries in this month long contest will be screened in one of the channels of MAA TV group. Apart from MAA TV, Sangmithra Arts, the production house which had produced Pawan Kalyan’s Panjaa, is teaming up with an entertainment channel for a new reality show for aspiring filmmakers. Revealing the details about the show, Neelima Tirumalsetti said, “Sangamitra arts in association with a Corporate group and a major Entertainment channel is going to host a TV reality show titled “A FILM BY ?” – a one of a kind unique opportunity for every film director who dares to dream big to showcase their work to millions of viewers. We invite aspiring filmmakers from across the country to take part in the show.” More details about this reality show will be announced soon.